You are here: Home » GENRE » Fantasy » J.R.R. Tolkien versus George R.R. Martin: rap battle! J.R.R. Tolkien versus George R.R. Martin: rap battle! Yes, it’s the J.R.R. 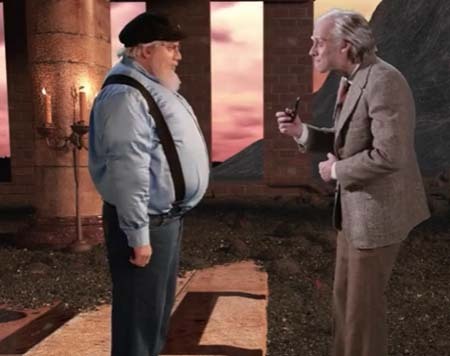 Tolkien versus George R. R. Martin: rap battle you have been waiting for. Is Tolkien Towering, and did George RR Martin pirate the great man’s two middle initials for nefarious reasons? Only this RAP BATTLE can answer those deep questions, I’m afraid, which means you are definitely going to have to listen to it. « X marks the spot.